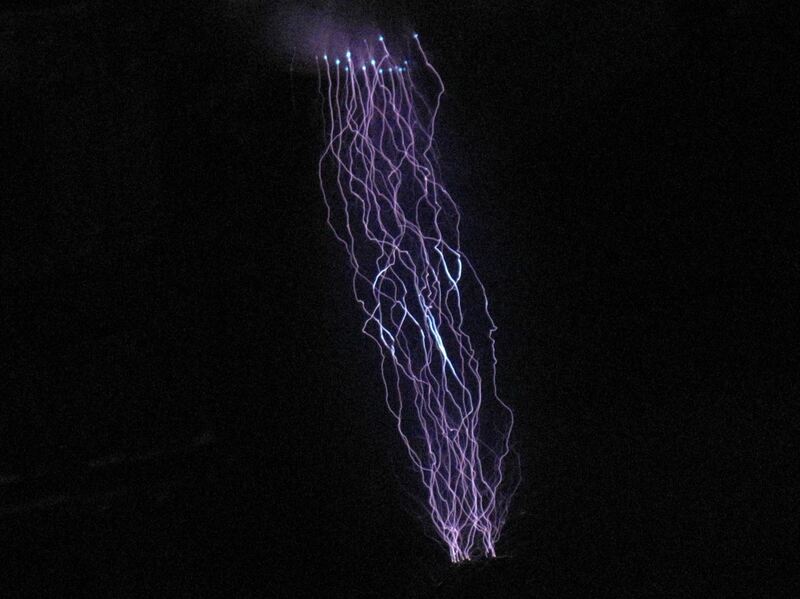 Tesla coils are totally insane, yet undeniably captivating. And they can be used for many things, from electric painting to dueling musical battles. But one trigger happy fellow has a different use for Tesla's lightning shooting coil. A weapon. After being inspired by the steampunk graphic novel The Five Fists of Science, which retells the currents war between Tesla and Edison, Rob Flickenger couldn't help but want to recreate the protagonist's sidearm, a portable Tesla coil gun. It's different than a coil gun or the theoretical death ray by Tesla. 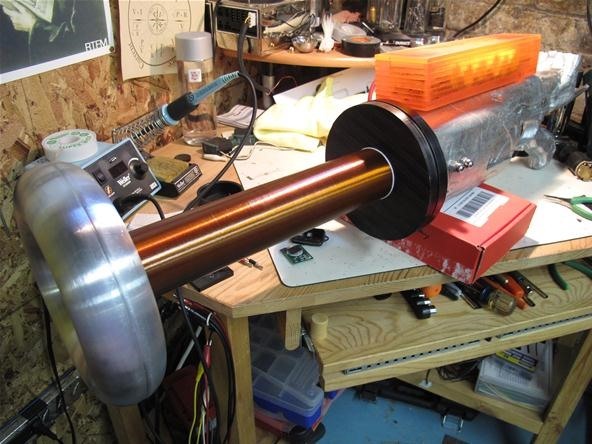 This one is actually a spark gap Tesla coil gun! It's a handheld, battery-powered, high-voltage lightning shooter! (1) The corona. 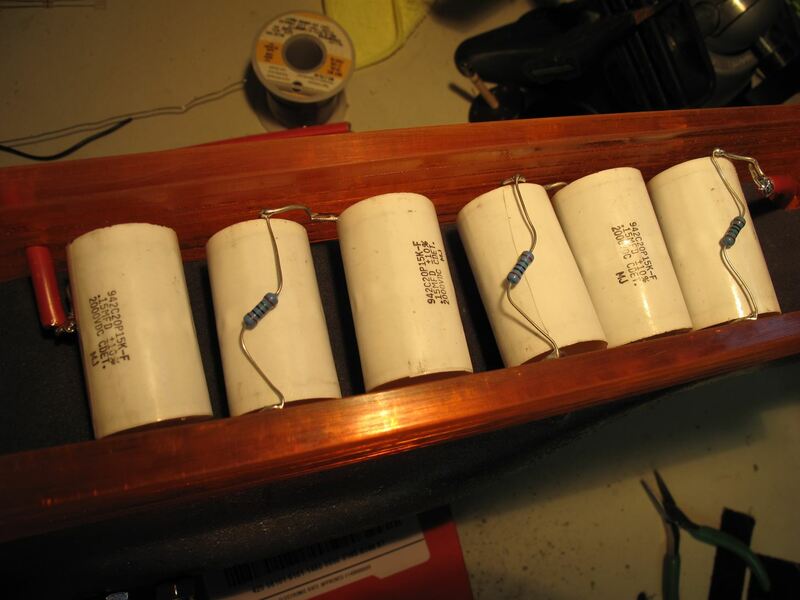 (2) The capacitor bank. (3) The finished design. 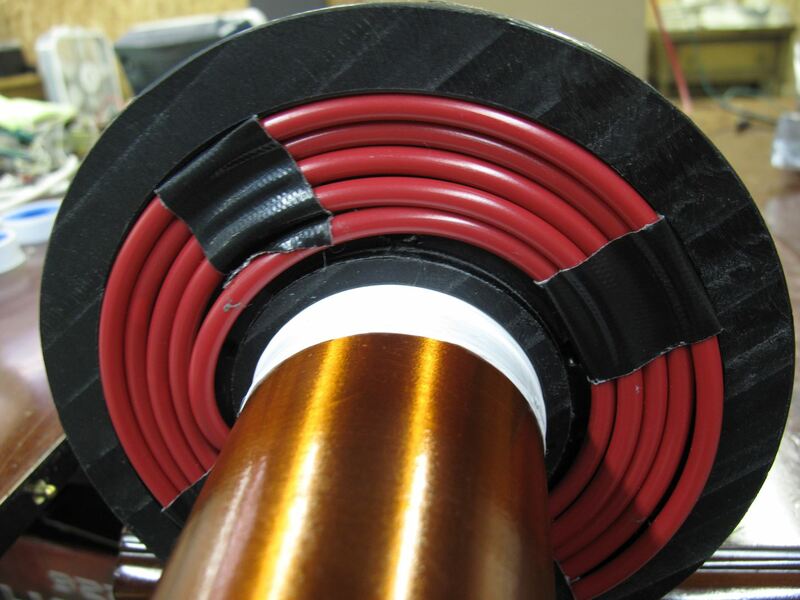 (4) High-voltage wires (in red). 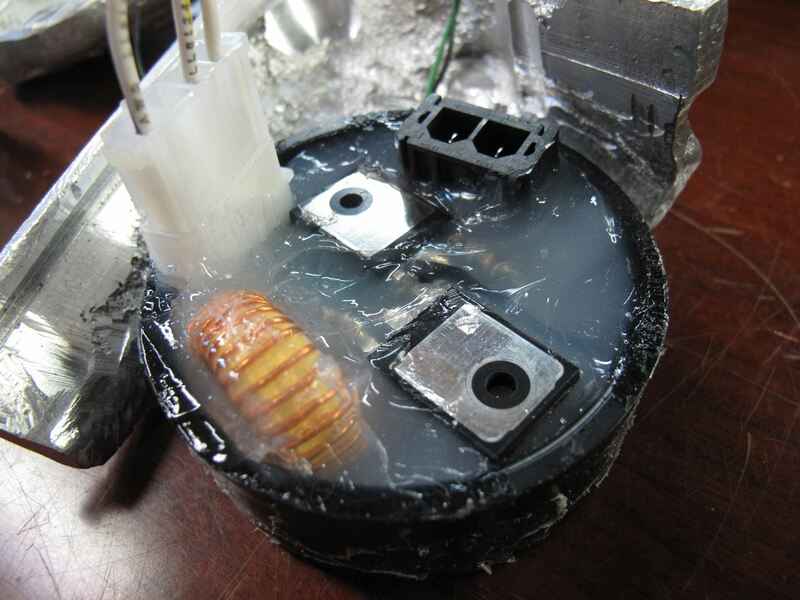 (5) The ZVS driver held together with silicon in a PVC cap. 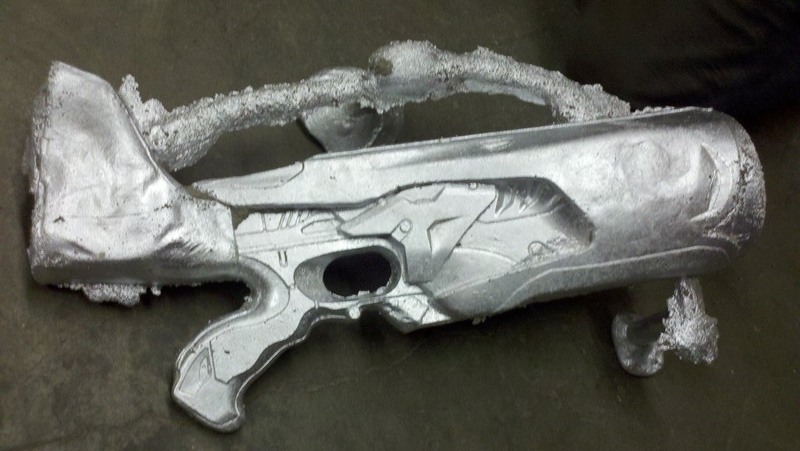 (6) Nerf gun cast in aluminum (before being milled). This deadly high-voltage beast is made up of an old Nerf gun with a new aluminum sand-cast body, a porcelain high-voltage switch, an 18 volt battery from a cordless drill, 6 capacitors, ZVS driver circuit, and a flyback transformer that catapults that 18 volts to 20,000 volts! To see the entire project, check out the article on Rob's site. And make sure to stay tuned there for more details and a video demonstration! But as much as this seems like an actual weapon, it's not. Rob stated on his site that it might injure someone if you knocked them over the head with it, but that you'd more than likely only hurt yourself if you actually fired it. He said, "This is sculpture. Art inspired by art. Not a weapon, any more than any object is a weapon if wielded with intent to harm." 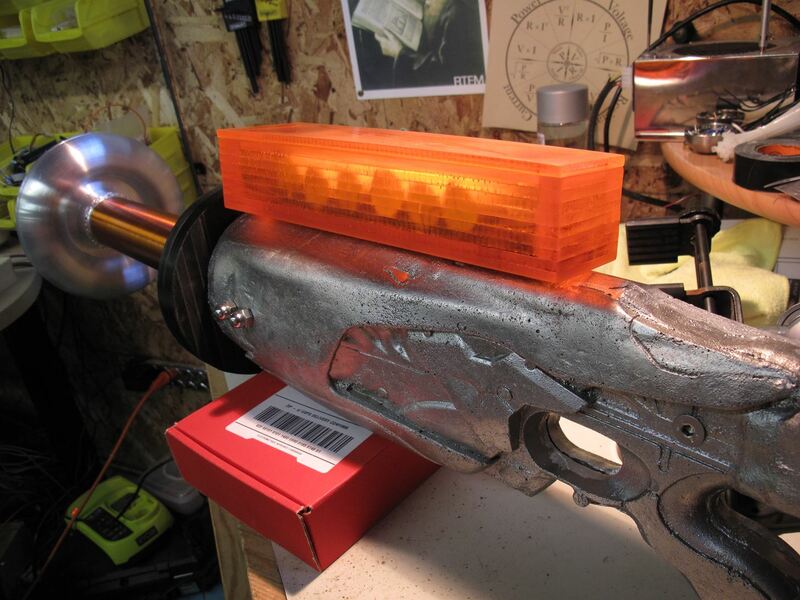 You can find more photos of this Tesla gun over at Rob's Flickr set. DIY products are very useful product. There are a big range of DIY products and can be useful in craft, designing and also for repairing.